Mort Walker leaves his mark on Columbia. Inside the University of Missouri Student Center, the walls of Mort’s in The Shack restaurant are covered in carvings. Generations of MU students and graduates have left their mark on the wood panels. The dining establishment, which opened in 2011, is inspired by The Shack, a popular campus hangout that operated on and off between 1921 to 1984. 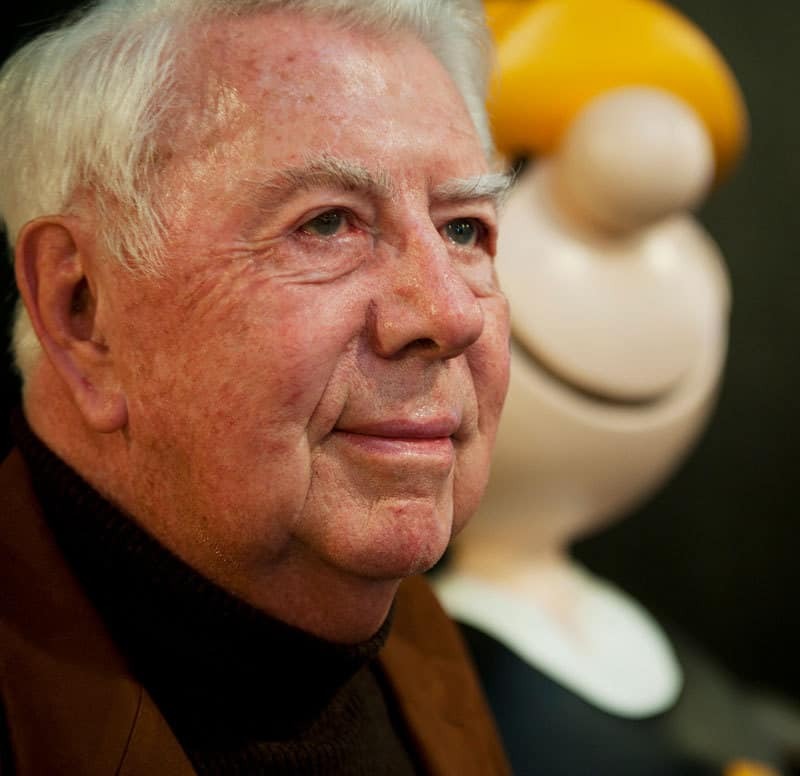 Today, Mort’s is a tribute to cartoonist Mort Walker, who died Jan. 27, 2018, at his home in Stamford, Connecticut. He was 94. The creator of the “Beetle Bailey” comic strip graduated from Mizzou in 1948 with a degree in humanities. Walker was a member of Kappa Sigma fraternity. He was also a staffer for the MU yearbook, “Savitar.” The Shack was a frequent gathering place for Walker and his friends. He even held business meetings there for ShowMe magazine, a now-defunct student humor publication that he edited from 1947 to 1948. In 2010, Walker returned to MU to attend the dedication of the new student center. Dr. Michelle Froese, assistant director of the Dean of Students Office, says Walker and his family were integral in the recreation of The Shack. His son Neal Walker constructed a color, life-size statue of the Beetle Bailey character that is stationed in front of the eatery. Walker, who grew up in Kansas City, Missouri, attended MU for a semester in 1943, before the Army drafted him. He served in World War II for four years, including a stint in occupied Italy. When he returned home, he reenrolled at Mizzou. In 1950, two years after he graduated, Walker created “Beetle Bailey,” based on his experiences at the university. The Shack often appeared in his early strips. Walker named the titular character after John Bailey, the Saturday Evening Post editor who encouraged him to create the comic. The initial version of “Beetle Bailey” was unsuccessful, so in 1951, Walker decided to change out the collegiate setting for a fictional military base called Camp Swampy. The funny adventures of Bailey, the slothful Army private who is unwilling to follow authority, became a hit during the Korean War era. Nearly 70 years later, more than 200 million readers enjoy “Beetle Bailey” every day in 1,800 print newspapers and hundreds of online outlets worldwide. King Features Syndicate, the company that distributes “Beetle Bailey,” states that Walker created 24,562 strips of the comic in his lifetime. Walker collaborated with Dik Browne in 1954 to create a “Beetle Bailey” spin-off called “Hi and Lois,” about the daily suburban life of Beetle’s sister, Lois, her husband, Hiram, and their four children. “Hi and Lois” appears today in more than 1,100 print newspapers and on hundreds of digital outlets worldwide. Over the course of his career, Walker received many accolades. In 1953, he was named outstanding cartoonist of the year from the National Cartoonists Society. The Pentagon honored him in 2000 with the Distinguished Civilian Service citation, the Secretary of the Army’s highest award to a civilian. MU recognized his achievements with the Citation of Merit from the College of Arts and Science in 1967. Kappa Sigma named him their Man of the Year in 1988. Residence, the statue was unveiled. On June 4, 1999, it was moved to a spot outside the Reynolds Alumni Center near the original location of The Shack. and his children Brian, Greg, Polly, Margie, Neal and Roger from his marriage to his first wife, Jean Suffill. His sons Brian and Greg, who worked with their father on “Beetle Bailey” for decades, will continue the beloved strip.